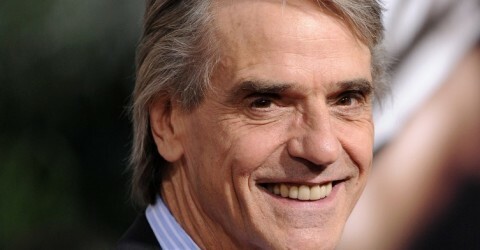 Jeremy Irons will be the recipient of the Peter J. Owens Award for excellence in acting at the upcoming 57th San Francisco International Film Festival, kicking off this week and running April 24 through May 8. The award will be presented on May 1. The SF Film Society and its year-round programming will be the beneficiary of the star-studded fundraiser honoring Oscar winner Irons (“Reversal of Fortune”), who will be filling the shoes of Bruce Wayne’s trusty butler Alfred in the upcoming “Batman vs. Superman” mashup from Zack Snyder. Meanwhile, Richard Linkater is the recipient of the Founder’s Directing Award; Stephen Gaghan the recipient of the Kanbar Screenwriting Award; and John Lasseter the recipient of the George Gund III Craft of Cinema Award. Previous recipients over the past decade of the Owens Award are Harrison Ford (2013), Judy Davis (2012), Terence Stamp (2011), Robert Duvall (2010), Robert Redford (2009), Maria Bello (2008), Robin Williams (2007), Ed Harris (2006), Joan Allen (2005) and Chris Cooper (2004). 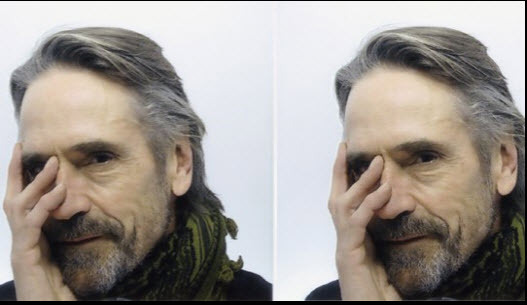 Join the Festival for a very special award night celebrating the career of one of cinema’s great acting talents, Jeremy Irons. Named for the longtime San Francisco benefactor of arts and charitable organizations, Peter J. Owens (1936-1991), this award honors an actor whose work exemplifies brilliance, independence and integrity. The evening will include a clip reel of career highlights and an onstage interview with the artist, followed by a film screening. The evening includes a special screening of a representative film from the career of the honoree. Film to be announced. Jeremy Irons has been cast in the role of Alfred Pennyworth in the upcoming Batman vs. Superman film, directed by Zack Snyder. “As everyone knows, Alfred is Bruce Wayne’s most trusted friend, ally and mentor, a noble guardian and father figure. He is an absolutely critical element in the intricate infrastructure that allows Bruce Wayne to transform himself into Batman. It is an honor to have such an amazingly seasoned and gifted actor as Jeremy taking on the important role of the man who mentors and guides the guarded and nearly impervious façade that encapsulates Bruce Wayne,” director Zack Snyder said in a statement. Warner Bros. will release the film worldwide on May 6, 2016.